An internationally-acclaimed tenor saxophonist with local Baltimore roots – he grew up in Cherry Hill – Gary Thomas seemed the perfect person to establish the Peabody Conservatory’s Jazz Studies department in 2001. But after nurturing a cadre of deeply loyal students and fans and carving out a space for jazz at the classically-oriented Peabody, Thomas is leaving. His departure, announced quietly last month, is leaving some in the local jazz scene not only fuming, but wondering how a program devoted to the study of an African-American musical genre – already noticeably lacking black faculty members – could fail to retain one of Thomas’ caliber. “The education I received with Gary at Peabody was intimate and hands down the best,” said Russell Kirk, another widely-known Baltimore-born saxophonist who was mentored by Thomas at the school. And yet, what Kirk saw and heard at the Peabody over the years lead him to conclude that Thomas, and the genre of jazz in general, have been accorded less respect there. “I’ve witnessed how Professor Thomas was treated like a stepchild at Peabody. Administration placed him at the bottom of the barrel,” Kirk said in a letter to the Office of Institutional Equity sent in May. Officials at Peabody declined to comment on why Thomas is no longer at the school. They said the institution remains committed to its jazz program. “Peabody sees jazz as a critical discipline and is committed to building a vibrant, energetic, thriving program which produces superb musicians and makes its mark on the jazz community,” said Tiffany Lundquist, Peabody’s Director of Marketing and Communications, in an email to the Brew. Also tight-lipped is Johns Hopkins University President Ronald J. Daniels who made Thomas the director of the Jazz at the Johns Hopkins Club series, which has been bringing world-class musicians to the school’s Homewood campus since 2013. Thomas’ supporters say they approached Daniels and asked him to intervene in what they felt was administrators’ unfair treatment of Thomas. Daniels did not respond to a request for comment from The Brew regarding the resignation of Thomas, an endowed professor at the school. But around town and on social media, musicians and teachers were open about their dismay over the loss. 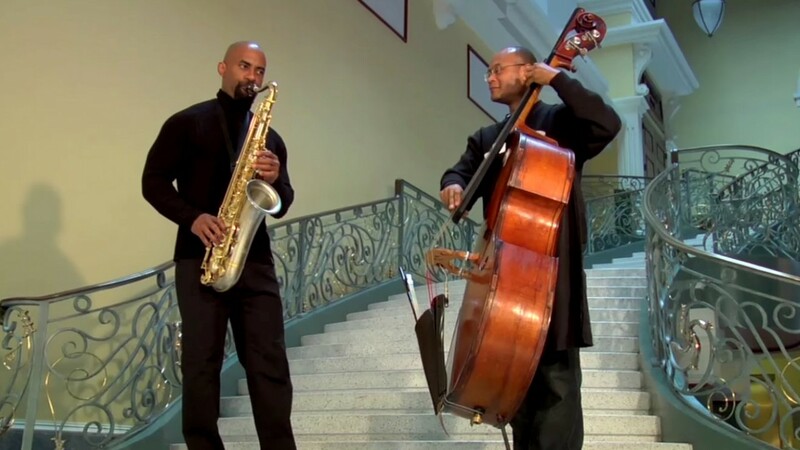 Jazz is a relatively recent offering at the 160-year-old Peabody Institute, which has been affiliated with the Johns Hopkins University since 1977. For many aspiring jazz musicians, Thomas and other iconic professors like bassist and composer Michael Formanek and guitarist Paul Bollenback were a main reason they chose Peabody over bigger name schools with more touring possibilities and professional level students. Thomas has performed and recorded with Miles Davis, Wynton Marsalis, Pat Metheny, Herbie Hancock, Wayne Shorter and Jack DeJohnette, among others. “Despite the fact that we weren’t in Juilliard or Manhattan School of Music where there’s tons of resources, you had these mystical resources with faculty like Gary who could just make you good out of nothing,” Clark said. With the recent departure of not just Thomas but Bollenback and Formanek (who retired), Peabody’s jazz program is at a crossroads. Clark said the loss of key faculty clouds the future of a program that was already ailing, with only 12 full-time students at present, half the number of recent years. Several musicians who attended the school say full scholarships for talented students are extremely rare, and that with the faculty shake-up, there’s now even less incentive to attend. “This breaks my heart to hear that such a well-known musical institution would do that to its jazz program,” an area saxophone teacher lamented on Facebook. Thomas’ departure also takes a toll on the program’s diversity as only one out of the seven remaining faculty is black. Thomas was the first African American to chair a department at Peabody. Many of his peers and co-workers nominated him for the Johns Hopkins University’s Excellence in Diversity award. Lundquist acknowledged the dearth of non-white faculty in the jazz program, and said the search for a new permanent head for the department presents an opportunity to rectify the problem. “Peabody’s proactive approach to diversity and inclusion includes the creation and implementation of a Faculty Diversity Plan to locate, attract, and retain the best and most talented faculty artists, representing a broad diversity of backgrounds, thought and experiences,” she wrote. Clark, who feels the school suffers from a culture of “mediocrity,” had a different view. Thomas’ uncompromising nature, combined with the fact that he was black and stood up to school officials, made him a target for criticism about the department’s recent enrollment decline, he said. “Incestuous” and “homogeneous” were a few of the words that Clark used to describe Peabody’s atmosphere, making it a place resistant to change. In Thomas’ absence, administrators brought in local saxophonist John Thomas to act as saxophone professor and assigned Associate Dean Abra Bush, who arrived at Peabody two years ago, to serve as an interim chair for the jazz department. Clark said Peabody will have a hard time finding a teacher like Thomas, the rare professor who could both push students to their limits while also being their friend outside of class. Thomas, meanwhile, isn’t sure what he’s doing next. He told The Brew that he’s not certain what his plan is for the future. He said he’s considering other teaching positions in the Northeast and he may go teach in Spain, where his wife is from.